This is a collaborative model kit brought to you by Tamiya and Italeri. 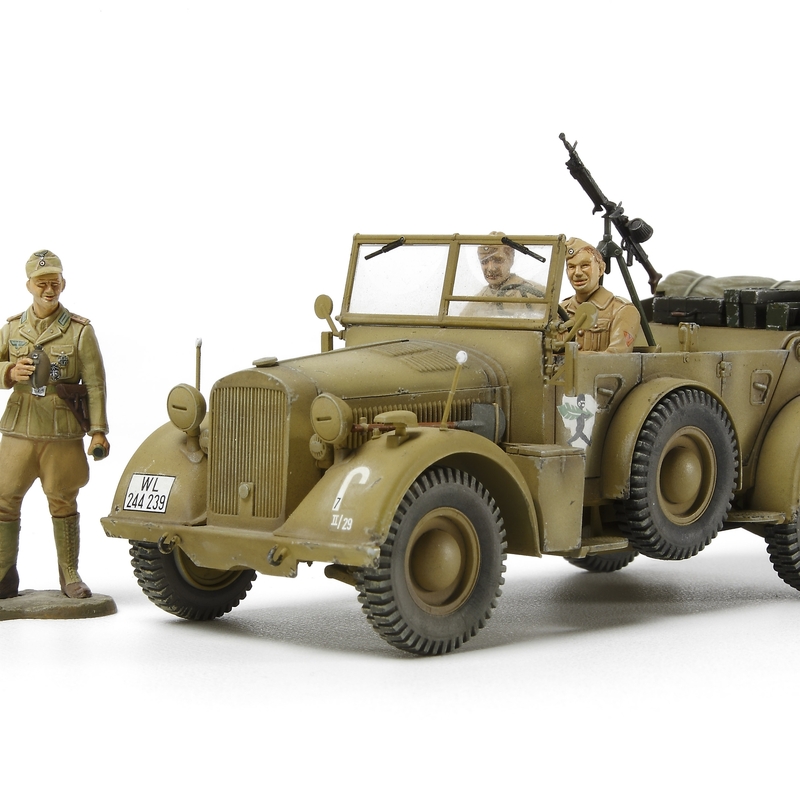 This latest product in the series is of the Horch Kfz.15, a 4WD transport vehicle which was equipped with a liquid-cooled 8-cylinder engine capable of producing 85hp. 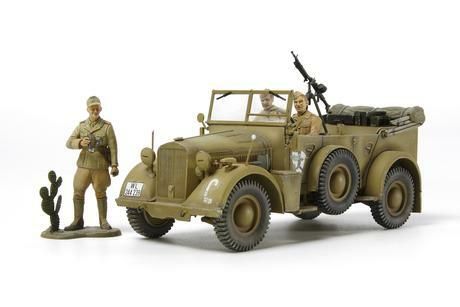 Production of the vehicle began in 1937, and it saw action with the German military in a wide range of combat zones from Russia to North Africa. Special Feature 2 New parts include folded roof, cargo area surface, rear-view mirror, taillights and front window. Special Feature 3 Tires are now made from paintable elastomer. Special Feature 4 3 included figures are a product of Tamiya.